Memory refresh: The Audience Controversy Award is given to the Feature that divided the Audience the most, the movie that received relatively more extreme and opposite votes and evaluations. The award is neither ironic nor a joke: a work of art that generates such diverse and conflicting reactions has power and inspiration. For 2011, this difficult task was accomplished by a Greek Feature: “The Death I Dreamed” directed by Panagiotis Kravvas. 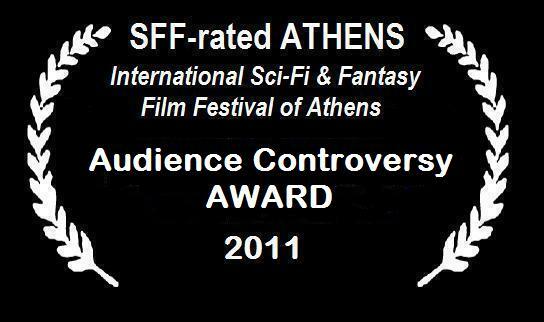 It was one of the two awards won by a Greek movie in SFF-rated ATHENS 2011, something that validates our commitment to promote Greek Fantastic Cinema -when, that is, it has something valuable to offer to the SFF-rated ATHENS Audience. We have to say that we anticipate the next project of Panagiotis Kravvas with great interest.